Top things to do in Newport - recommended by an expert! Newport tourism attractions are legendary . . . gilded mansions to tour, gorgeous beaches to lie on, boutiques and restaurants to explore, and all sorts of interesting things to do. Only about 60 miles (100 km) from Boston, Newport RI makes a perfect day trip destination - although with so much to do and see plus wonderful hotels and restaurants, you may want to plan a weekend getaway. To get the best recommendations for what to do on a day trip from Boston, I turned to a Newport, Rhode Island native. Keep reading to learn about his suggestions - and to see why Newport has been a long-time favorite for New England vacations. To find out about the best Newport tourism attractions, I reached out to Paul, a native Newporter who knows all the best things to do in this exciting Rhode Island city overlooking the Atlantic Ocean. Susan: Paul, for visitors who want to spend just a day - or maybe a weekend - in Newport, what top attractions and places do you recommend? 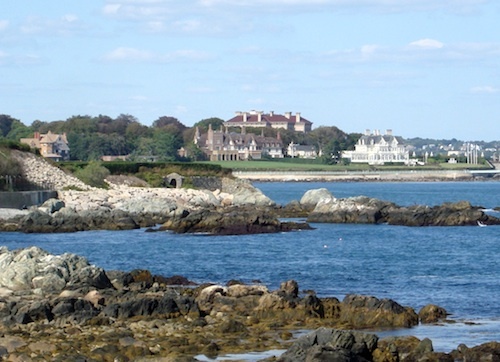 Newport Cliff Walk – Enjoy breathtaking views of the Atlantic Ocean and many of the fabled Newport mansions along the 3.5 mile long Newport Cliff Walk. International Tennis Hall of Fame – Amazing history and interactive exhibits in the old Newport Casino building. 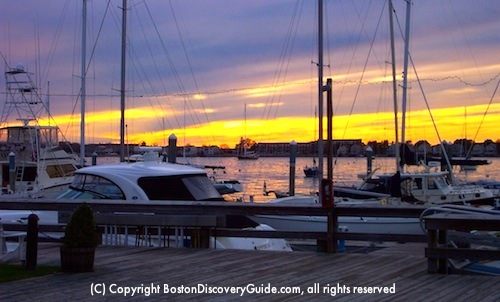 Fort Adams – Explore the Fort itself, the Museum of Yachting and The Eisenhower House all located on the same property! Touro Synagogue - The oldest synagogue in America. Visited by George Washington during his trip to Newport promoting the Bill of Rights. 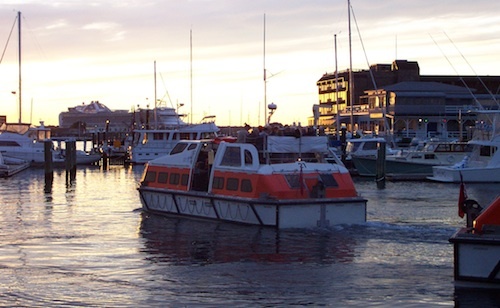 Tour Newport Harbor – Enjoy the ocean breeze and a cocktail while seeing some of Newport's landmarks up close and personal from one of many great vessels. Susan: Newport's mansions sound amazing...but there are so many of them! Which ones do you recommend as most interesting to a visitor, and why? 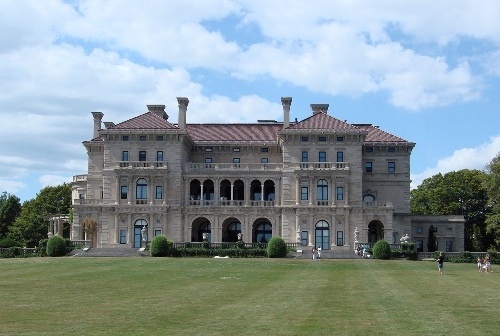 The Breakers is by far the grandest of all the Newport mansions. It was built by Cornelius Vanderbilt II (President and Chairman of the New York Central Railroad), and you simply can't imagine the opulence of this “summer cottage” until you see it for yourself. Rough Point was the home of tobacco heiress and philanthropist Doris Duke until her passing in 1993. 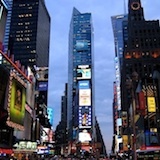 It opened to the public in 2000. You can now see the priceless paintings, the salt-water swimming pool in her basement, and the 300 year old furniture she allowed her dogs to lounge on! Astors' Beechwood is Newport's only living history museum. Once the home of “The Mrs. Astor” who hosted the most lavish summer events of the Gilded Age, this property was recently purchased by Larry Ellison, the founder of Oracle and the 4th richest man in the world. It may not be open to the public forever, so check it out now if you have the chance! 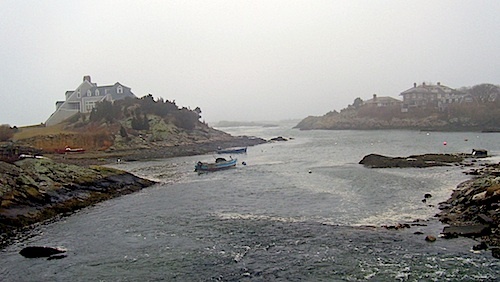 Susan: Newport is also known for its gorgeous water views and beautiful beaches. What's your favorite beach that you'd recommend to others? Why do you love it? Paul: If you're looking for Newport's ultimate beach experience, check out Easton's (known as 1st Beach to the locals) on Memorial Boulevard. Susan: What's your favorite thing to do in Newport? Paul: My absolute favorite thing to do in Newport is to take a leisurely cruise (either on my bike or in a car) around the famous 10-mile Ocean Drive. Like on the Cliff Walk, you'll see beautiful homes, breathtaking views of the Atlantic Ocean, and the entrance to Narragansett Bay here. You can easily spend your whole day out here with a chair and a good book, your camera or your fishing pole. If you're with a group, you can picnic at Brenton Point State Park and enjoy the cool ocean breezes while you watch people fly their kites and play with their dogs. If I could only see one thing during my trip to Newport, it would be Ocean Drive, without a doubt! Susan: With so many Newport tourism attractions to choose from, can you sum up for us why it's a great place to visit? Paul: There are few places in America that have the rich history, breathtaking scenery and multitude of attractions, events and entertainment that Newport is blessed with. I may be a little biased since I grew up here, so I think everyone reading this should come see for themselves what makes the “City by the Sea” such a special place! 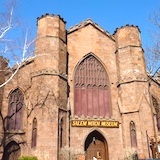 Susan: Paul, thank you so much for sharing your favorite Newport places and experiences with us. After hearing about these wonderful Newport tourism attractions, I'm ready to jump into my car and drive south for a day trip - or even better, a long weekend getaway. Find more visitor tips from Paul on his website, Newport Discovery Guide. The easiest way to take a day trip from Boston is to join a tour. 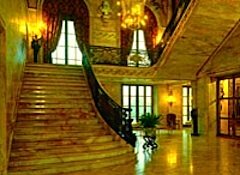 You'll get to visit Marble House and The Breakers, two of Newport's fabulous mansions. You'll also enjoy the spectacular 10-mile Ocean Drive, and the chance to stroll around the beautiful waterfront with fascinating shops and tantalizing restaurants. You'll have the opportunity to have lunch on your own - be sure to check out all the great restaurants overlooking the harbor! 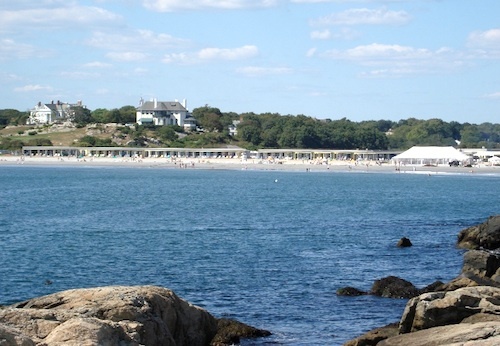 This day trip includes pickup from select downtown hotels by luxury motorcoach, transportation to Newport plus the return trip to Boston, and admission to the two mansions, so it's a really good deal. If you have a GoBoston card or are planning to get one for your trip, you can get free admission to 3 mansions of your choice. Choose from The Breakers, Chateau-sur-Mer, Chepstow, The Elms, Green Animals Topiary Garden, Kingscote, Isaac Bell House, Marble House, and Rosecliff. At least 3 mansions are open year round, with most others opening in April and May. 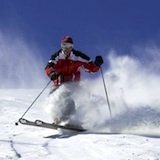 Check times and open dates before you go. Will you have time to tour 3 mansions in one day? Yes, especially if you don't mind a somewhat fast pace. But instead of making just a day trip to Newport, you may want to consider a weekend visit so that you'll have time to visit other attractions, enjoy Ocean Drive, and perhaps visit the beach. You'll find lots of wonderful choices of places to stay in Newport - everything from glamorous hotels overlooking the water to cozy inns and B&Bs - you can even stay in a lighthouse. The hardest part will be making a decision . . . Luxury hotel overlooking the Atlantic Ocean and Easton Beach - perfect for romantic getaway with spectacular views and cozy private fireplaces. Luxurious small hotel with indoor swimming pool in a grand 1909 mansion in Newport's most historic area. Stylish modern inn in easy walking distance of bistros and boutiques along Thames Street. Lovely harbor views, plus short walk to Thames Street boutiques, waterfront restaurants, and mansions. Charming hotel with lovely traditional furnishings and plush linens on the beds. You'll feel like you're living in the elegant Gilded Age! By car gives you greatest convenience and flexibility. Check Boston rental car options. 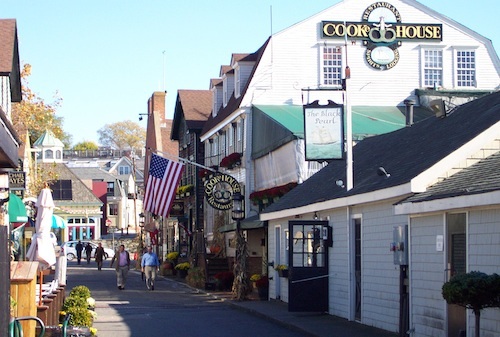 Getting around: Depending on where you stay, many Newport tourism attractions, shopping, historic, and waterfront areas may be just a short walk away. Ocean Drive is best seen by car or bike. Between Memorial Day and Columbus Day, you can park at the Newport Visitors Center (23 America's Cup Ave) for $2 and ride their Yellow Line Trolley to the historic Newport mansions.